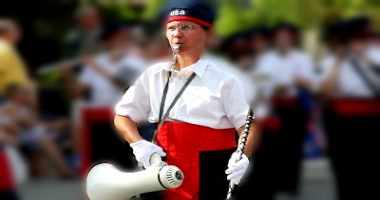 For marching, the WSHSB is also known as "The Patriots." Patriots attend marching camp in June and average five parades in the summer. With two concerts per year, our winter concert is usually held at the end of January. Concerts are FREE admission with open seating. Check our Music Resource page to listen to past concerts. Marching trimester is voluntary and open to current WSHSB members and NON-members. This includes experienced musicians who are welcome to join us for the summer marching trimester. For more details see our Summer Marching page. Our second concert of the year is generally held mid to late May. Come hear our Junior, Senior, and Symphonic bands separately and combined. Would you like to march with us? See Summer Marching. You're Invited to our Spring Concert 7pm, Friday, May 17. Click for details. Member's News has the link to the weekly Rehearsal Notes PDF and for quick reference, Important Dates and Deadlines and the Sectional Chart are included. Download the weekly Rehearsal Notes for the week's practice assignments and more. 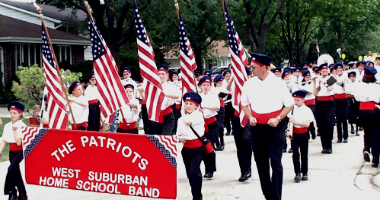 The West Suburban Home School Band (WSHSB), also known as The Patriots (for summer marching) was founded in the fall of 2001 to provide an opportunity for home schoolers, with or without any previous musical training, to have an excellent multi-level band experience. It provides a place to learn, grow and develop their musical talents and abilities. Following the model of a community band, it includes all wind instruments, woodwinds and brass, as well as a full percussion section. There are two concert trimesters during the school year, followed by the summer marching trimester. Membership has grown from 46 students/26 families in 2001, to nearly 200 members from over 90 families in 2018-2019. Students range in age from @9 to 19. There are four band levels to accommodate those with no musical training whatsoever to those with advanced experience and abilities. The levels are Cadet, Concert Junior, Concert Senior and Symphonic. Experienced parents are welcome to participate and beginner parents are also accepted. Auditions are mandatory for all but Cadets, our beginners' level. 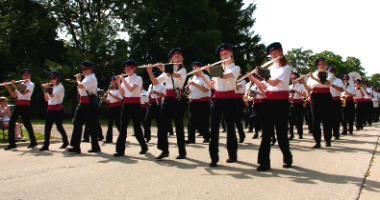 During the summer marching trimester, The Patriots Marching Band performs in parades and other venues after participating in a preliminary practice and a week of marching camp. 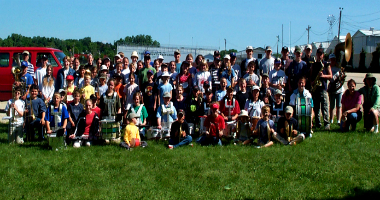 Participation in the marching band trimester, while encouraged, is voluntary and is open to current WSHSB members and non-members alike. The marching band helps to round out the musical experience and discipline for the students. Non-musician siblings or friends, complete the guard unit. The Little Patriots marching corps is for younger siblings of band members who march behind the band. This experience helps introduce them to what marching band is like. For more information please check our website or contact the director. Become a WSHSB Booster. Sign up here! Copyright 2015.West Suburban Home School Band. All Rights Reserved.